People don't like to be lied to. They don't like to be disappointed. And they don't like "phonies." 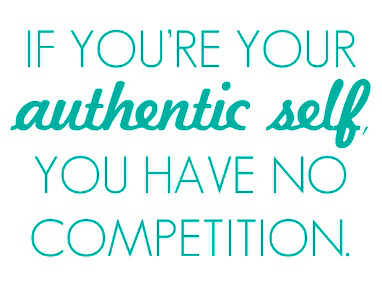 People want authenticity. Consider the most recent election cycle. People are clamoring for political candidates who are sincere and really believe what they say rather than being scripted based on the latest market research or changing their stories depending on the audience. Consider how news sources now routinely "fact check" everything each political candidate says. Consider the popularity of websites such as snopes.com, truthorfiction.com and hoaxslayer.com. There are also political fact checking websites such as factcheck.org and politifact.com. The number one brand personality attribute that people look for in brands is "trustworthy." This implies authenticity and transparency. Whether you agree with him or not, Bernie Sanders has strong grass roots support because he speaks his mind and is "real." Can you think of a political candidate who is not authentic admitting to being a Democratic Socialist in the USA today? Patagonia wins based on its authenticity, as does Tesla. BP made a grave error in touting its "beyond petroleum" stance when it just wasn't true. Does choosing authenticity mean that a brand does not set strategy and create a brand position based on marketing research? No, authenticity does not rule out marketing research. Marketing research can discover what is important to customers that the brand stands for, believes in, does well and is a part of its DNA. So the trick is to find a market to whom the brand's true self appeals so that the brand can be authentic and act with integrity. This requires introspection. Who are we? What do we believe? What do we stand for? How should we behave? What is our culture? How should we treat people? And how will this align with our target customers and what they are looking for? Whether you approach authenticity from a brand essence exercise, a brand archetype exercise, mission, vision and values development or an organization culture project, determine what it is that your brand stands for, how it intends to behave and what will be most true to its character and then market that to the right group of customers and potential customers. I wish you great success in creating an authentic brand.